1. It will help to locate and pinpoint where all allergens within your home or office are. This is a task that would be almost impossible without the aid of our allergy testing. 2. It helps to figure out how to reduce those specific present allergens which will help you avoid any repeat problems within the near future. 3. 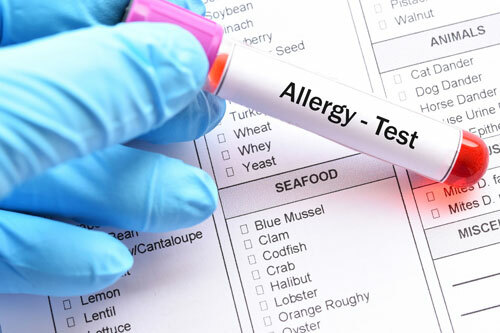 Our allergy testing will help ensure there are no repeat problems by giving you a detailed account of all allergens present and how you can reduce them. AirMD’s allergy testing will assess the level of allergens that may be causing you, your family, or coworkers’ allergic reactions. We can pinpoint the source of any allergic exposure. We will always provide you with an allergy report that includes recommendations as well as suggestions to help you learn how to improve the quality of your indoor environment to help you avoid any future exposure or issues. Call an AirMD consultant today to speak to them about our allergy testing and to schedule your appointment. Call 1-888-462-4763 or 1-888-Go-AIRMD. You can also look around our webpage to see what other services we offer.